Despite some truly horrible weather, there was a splendid turn out for Robert's presentation. 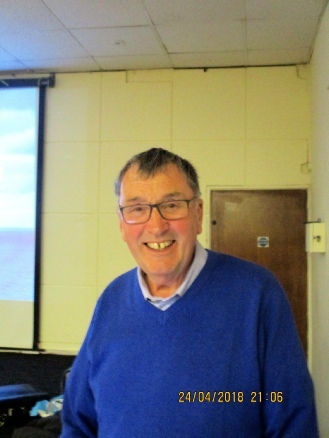 The history of our Society was recounted by Robert (a member for 50 years!) , accompanied by fascinating slides. He explained how the growth of the Society ran parallel to the growth of Cardiff, from town to City, and it was so inspiring to hear of the amazing artists and public figures who founded the Society. 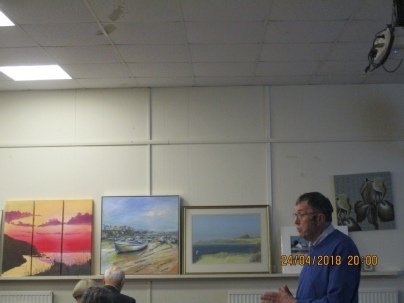 In the second half of the talk we were told of the many artists that have either made Pembrokeshire their home or visited, all inspired by the stunning, varied and breathtaking scenery. 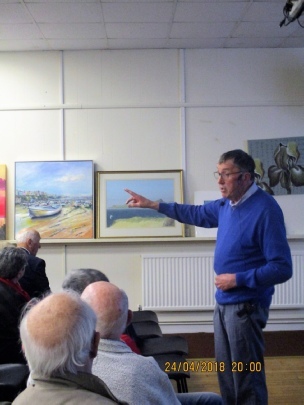 Members were asked to bring along any paintings they had and Robert referred to these during his presentation. 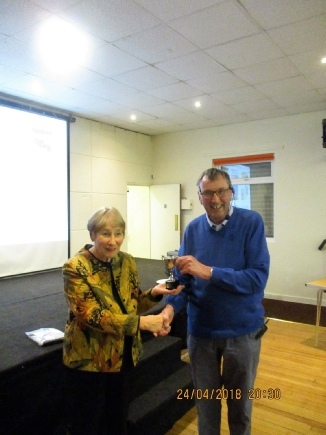 The Members would like to extend their thanks to Robert for a thoroughly fascinating evening. 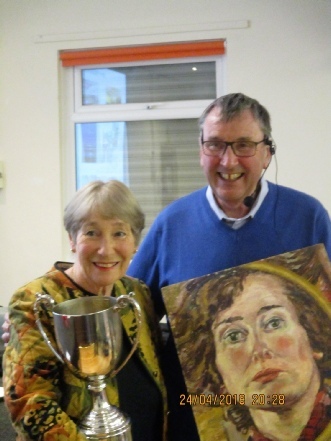 As the overall winner of The Anthony Rapport Trophy was unable to attend at the 'official' presentation last December, Robert presented Christine Turner with the Anthony Rapport Trophy, and a smaller version to keep and proudly display .